Revolutionary voice quality and clarity from up to 20 feet away. 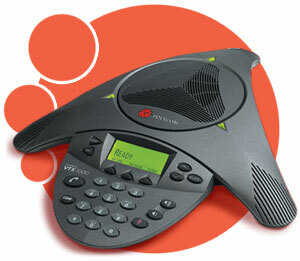 The Polycom SoundStation VTX 1000 with Acoustic Clarity Technology is truly a leap in voice conferencing technology. It’s the world’s first conference phone that automatically adapts to each meeting environment, providing high fidelity voice clarity for all participants. With the SoundStation VTX 1000, conference call participants can speak at a normal, natural conversation level and be heard clearly from up to 20-feet away from the microphone – even in large conference rooms. And, when two SoundStation VTX 1000 conference phones connect on opposite ends of a call, the phones automatically connect in VTX™ Wideband mode, resulting in extraordinary fidelity. SoundStation VTX 1000 is the voice platform for the future. No wonder Polycom is the #1 choice in conference phones, worldwide. With integrated video, voice, data, and Web capabilities, The Polycom Office is the only solution that offers any size business an easy way to connect, conference, and collaborate any way you want. The Polycom Office is our commitment to making distance communications as natural and interactive as being there. Work faster, smarter, and better with SoundStation VTX 1000 and The Polycom Office. Revolutionary voice quality – The world’s first phone to deliver wideband voice over ordinary telephone lines; it’s like going from black and white to color TV! Easy to install/easy to use – Start conferencing in minutes!